Heir to the ruling dynasty of Wakanda, T'Challa dons the mask of the Black Panther and assumes his role as protector of his nation. 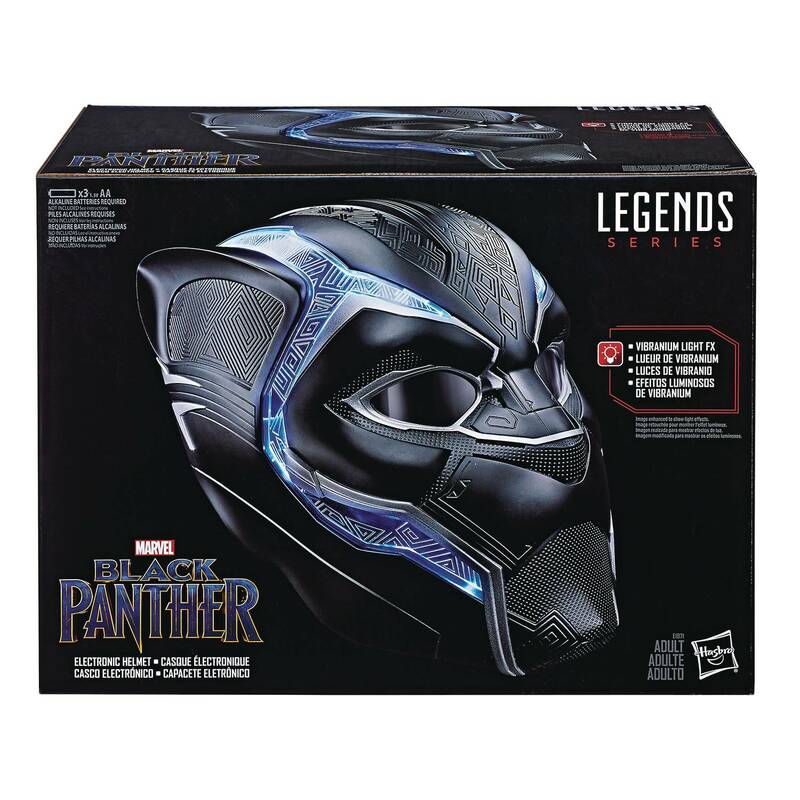 With the Marvel Legends Series Black Panther Gear Helmet, imagine taking up the mantle of the Black Panther and protecting Wakanda with technologically superior gear. 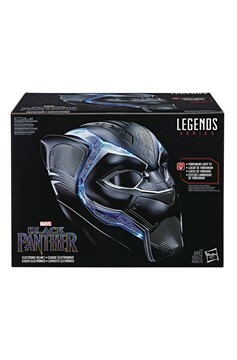 Inspired by the Black Panther movie, this Black Panther Gear Helmet from the Marvel Legends Series features premium design and styling, as well as intricate detailing on mask. Features Vibranium light effects and lenses that flip up and down..